Get your Financial summary and compute your value edge utilizing Kit Orders. 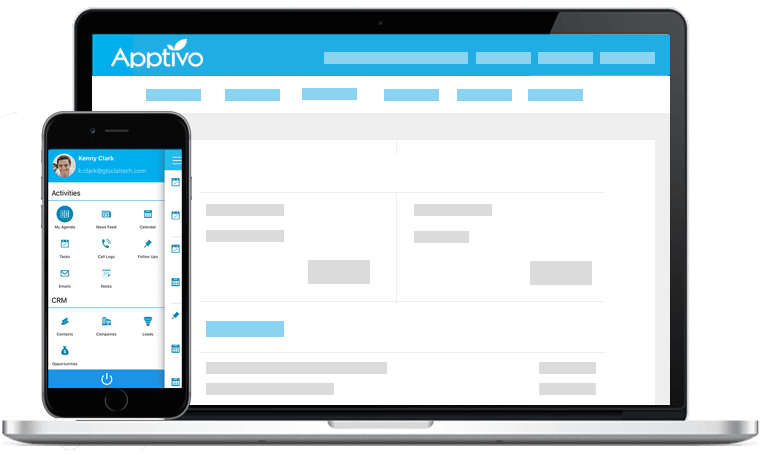 Deal with your products/services and allow them to combine estimates, purchase orders, supplier invoices, and invoices to your customer into a single page for calculating margins using Apptivo Kit Orders. 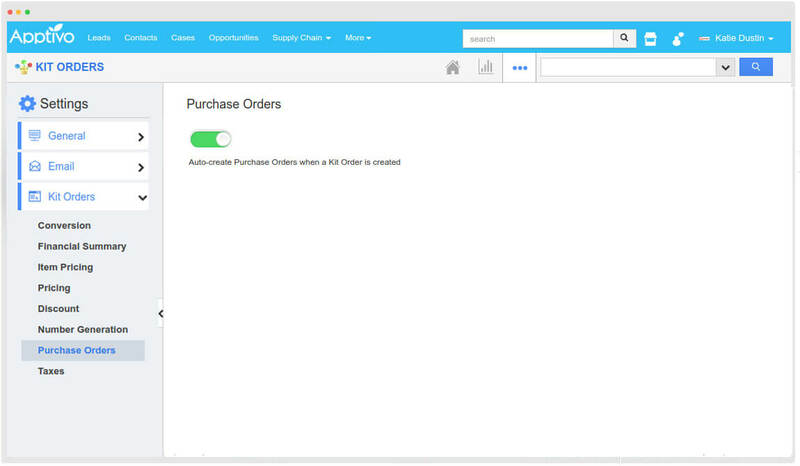 Purchase orders get automatically created whenever a Kit Order is created. 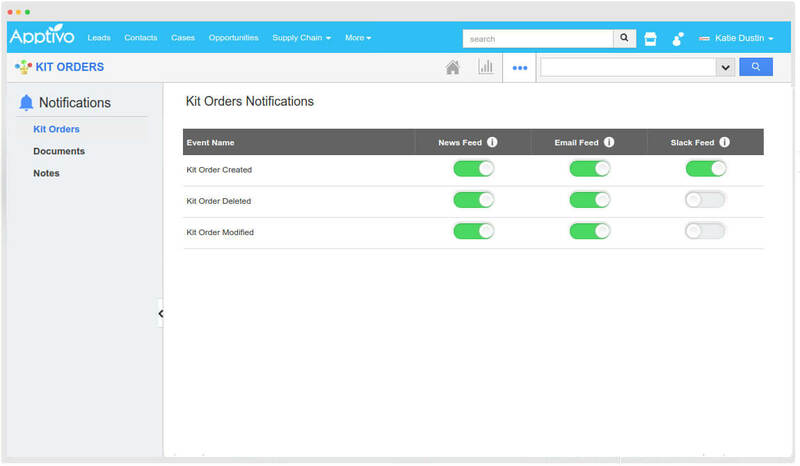 On the off chance that you don’t need it to happen, customize the Kit order settings. 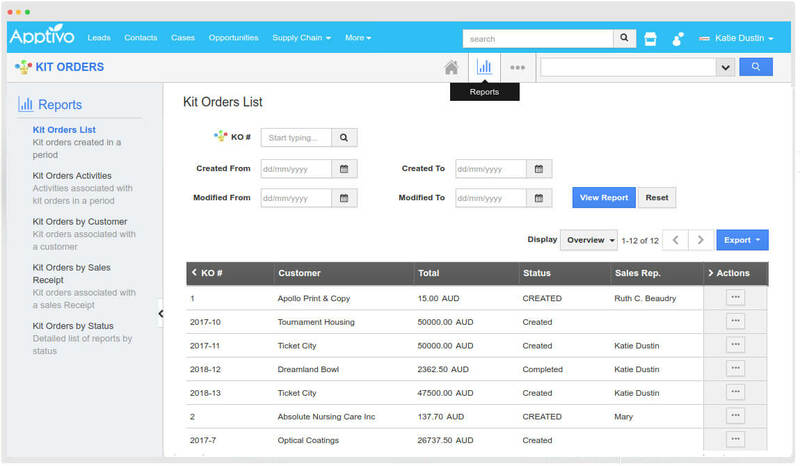 View and generate your reports for Kit Orders created in a specific period and also furthermore make reports for kit orders associated with various objects and activities. Get notified instantly with all the happenings in the kit order home page as a newsfeed. Not just newsfeed notification, email notification can also be empowered. 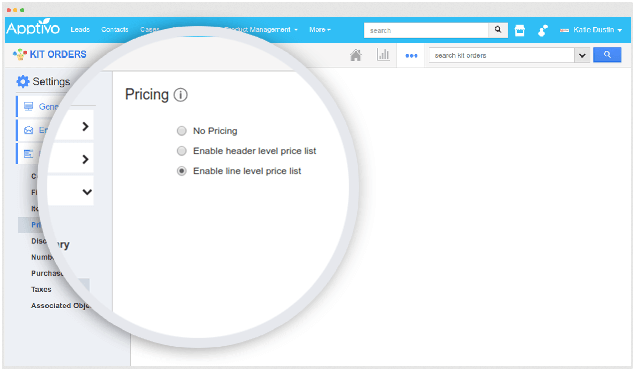 Allow your item prices to be modified using Pricing feature and customize the position of the price list in the Kit order as per your requirement.